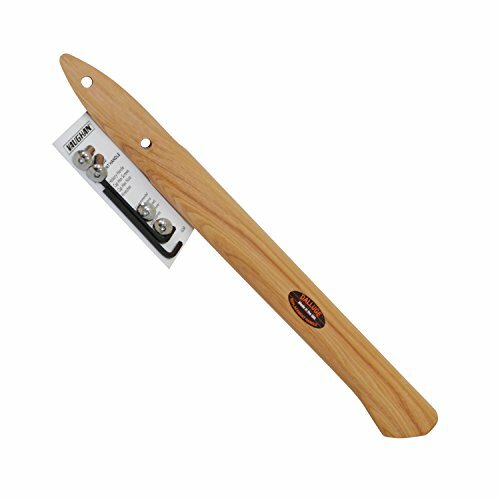 302871 Boy Scout Axe Handle, 14"
For warwood 3 & 4 lb. Hammers; for wooding verona 2, 3 & 4 lb. Hammers; for true Temper 2, 3 & 4 lb. Hammers; for Warren 2, 3 & 4 lb. Hammers; for Council hammers nos.2272-101/2 or 2272-12; & for Stanley 2, 3 & 4 lb. Hammers. Fk - Forest K ing hickory: fire finished, buffed, sealed with clear waterproof sealer. Good weight, White, tough, straight grain. Able to withstand hard service. B - beauty: good quality, white hickory. Slight blemishes of growth permitted In areas not affect ting service. Tips of red wood permitted. The item is Stiletto STLHDL-C16 16-Inch Curved Replaceable Handle with wedges (Fits 12,14,19 & 21 Ounce) . Used for Handtools & Tool Organizers, Hammers. The product is manufactured in China. Warranty: All Stiletto Tool Co. products are warranted by Stiletto Tools, Inc. for one (1) year from the date of purchase against defects in workmanship and materials. Any product which is determined by Stiletto to be defective in material and workmanship and returned to Stiletto, shipping costs prepaid, will be, as the exclusive remedy, repaired or replaced, at Stiletto Tool Co's. option. This warranty covers normal usage and does not cover damage which occurs in shipment. Failure which results from alteration, accident, misuse, abuse, vandalism, neglect, or improper maintenance is not covered under this warranty. This warranty does not extend to any products which have been used in violation of written instructions, or to products which have been altered or modified. This warranty does not cover damage which results from unauthorized repairs, alterations or modifications. Link handle 368-08 Premium Scout Axe Handle is for 1-1/4 pound axes. Wood wedge is included. Attached to handle. Hang up hook on end of handle is for pegboard display. Dasco Pro fiberglass handles gives you the toughness and durability you want for their striking tools. We pultrude up to 175 rovings of fiberglass per handle into a smooth, strong handle - many times tougher than wood. The waterproof, non-warping and non-corrosive features of fiberglass assures customer satisfaction. 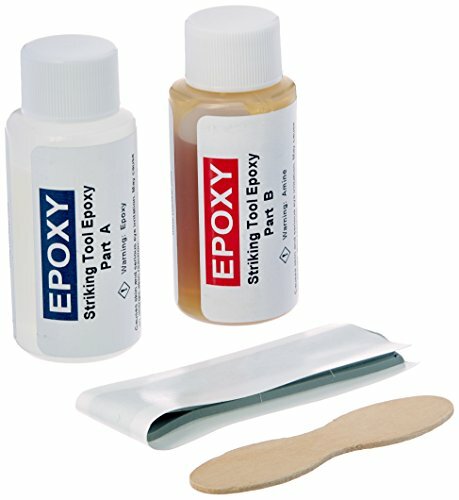 Each handle replacement kit comes with instructions, 2 part epoxy resin, stick and mixing cup. Dasco Pro, offers a broad range of forged hand tools used for carpentry, masonry, and demolition. Our 89 year legacy brand incorporates time tested design, superior materials, and distinguishing technology. Construction professionals, home improvement enthusiasts and hobbyists alike ask for Dasco Pro striking tools because quality tools equal quality work. For use on 1-1/4 lb. Axe. Approximate eye size: 1-11/16" X 5/8". Includes 1 wood wedge and 1 steel wedge. 14" length. 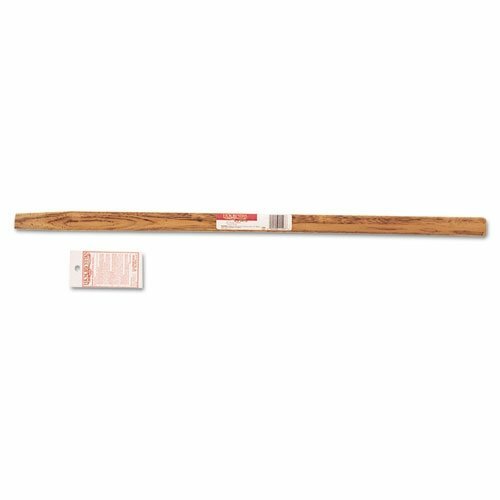 Includes 18-in Curved Hickory Replacement Handle (12, 14, 19, 21 oz.) - STLHDL-C, (2) Round Steel Wedges, Poplar Wood Wedge, Replacement Instructions. 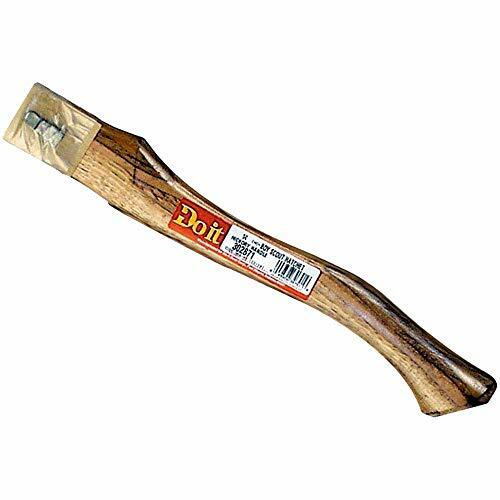 Beaver Tooth Sure Grip Hammer Axe Sledge Wedges are great securing heads that loose in hickory handles. 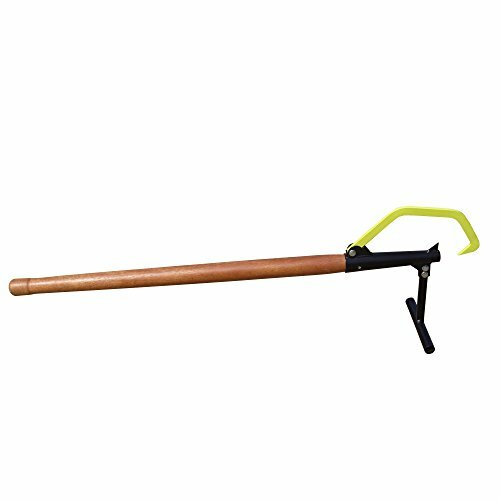 The TMB-55 Wood Handle Timber Jack is a great tool for lifting logs off the ground and will help to keep your chain from digging into the ground. Warranty: 1 Year Parts Warranty On Manufactures Defects, No Labor. 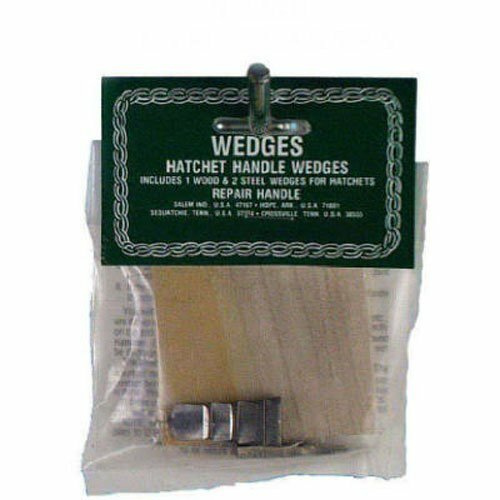 Link Handle 04512-00 Sledge Hammer Handle Wedges 3 Pack is a pack of three hammer handle wedges, one wood and two steel. Long lasting construction. 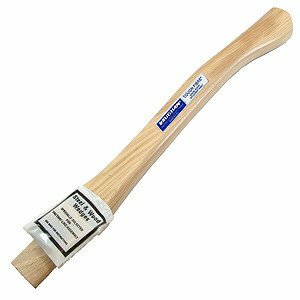 Vaughan & Bushnell 651-81 18-1/2" Hatchet Style Replacement Straight Handle. For 23 oz California Framer Hammers. Tough Fibre Grade. Dalluge decking and framing hammers are in a class by themselves. Designed by a professional carpenter for professional carpenters, Dalluge hits the word "balance" right on the nose, with head-to-handle weight ratio so precise, you'll swear you're swinging a much light hammer. The result is surer, deeper, more powerful nail driving with less strain on the arm and shoulder. 3700 Features: -Deluge replacement handle. -Machine gauged to precise balance. -Aerodynamically contoured handles. -Curved or straight design. Dimensions: Overall Length - End to End: -18 Inches. Overall Width - Side to Side: -1.13 Inches. Overall Depth - Front to Back: -1.75 Inches. Overall Product Weight: -0.58 Pounds. 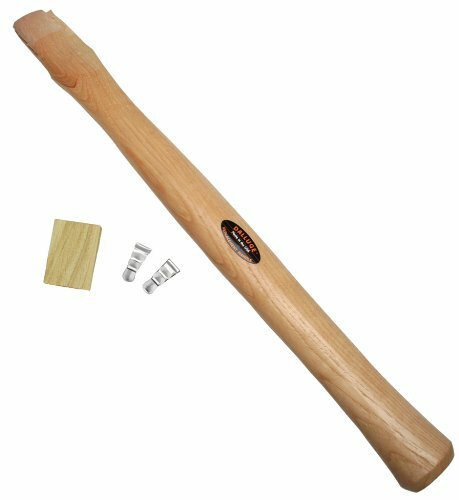 This item is 16" Adze Eye 20 Oz Wood Claw Hammer Handle 602-02 . Used for Handtools & Tool Organizers, Hammers. The product is manufactured in United States. Includes 14.5-in Curved Replacement Handle (10 oz. Heads Only) - STLFH-C, (2) Round Steel Wedges, Poplar Wood Wedge, Replacement Instructions.